The learning environment is one of the most affected by acoustics. In classroom settings, maintaining control over how sound travels in a small space is all-important—students require a healthy acoustic environment to effectively learn and process information. Today’s education spaces demand a productive learning environment for students, and acoustics play a considerable role in how this is achieved. This demand has given rise to a myriad of solutions for schools looking for better acoustic conditions. 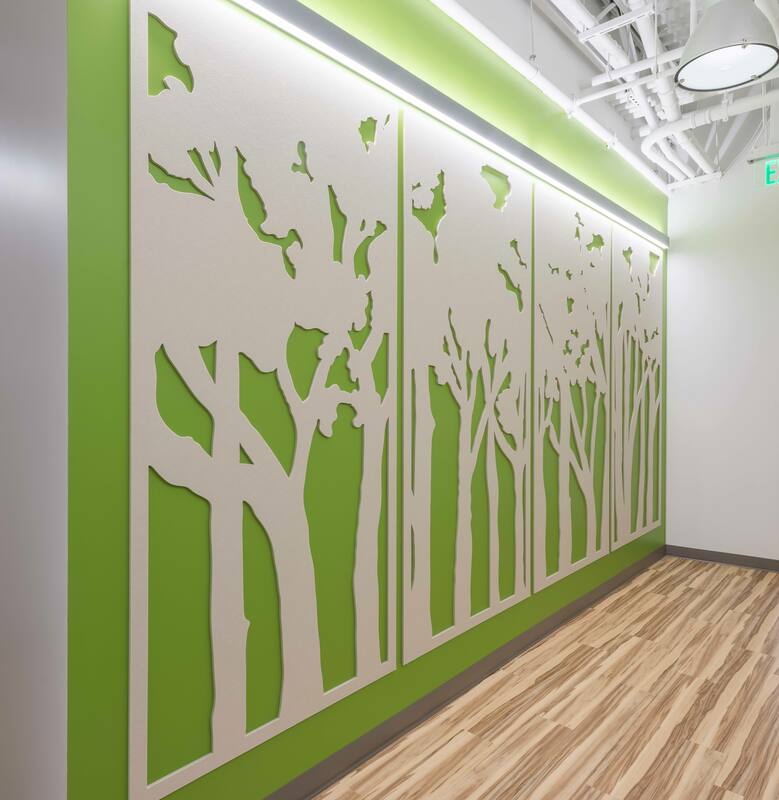 These innovative solutions go beyond the rolling panels of masonite that older generations might remember and offer control over noise while also managing to be functional, attractive, and easy to manipulate. For large classrooms, the division of that space is key for curriculums that might require students to be grouped off into smaller, more focused clusters. Partitions provide designated areas for collaboration or heads-down time and organizes classrooms so that teachers can manage spaces without raising their voice. 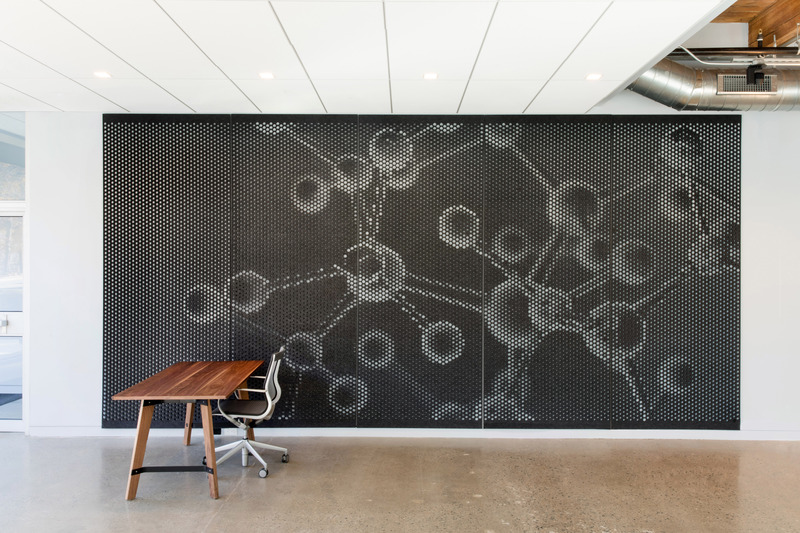 Here’s a partition system that’s designed and built into the wall itself. It has the capability to be completely open or completely closed, offering the flexibility that classrooms need to operate effectively. 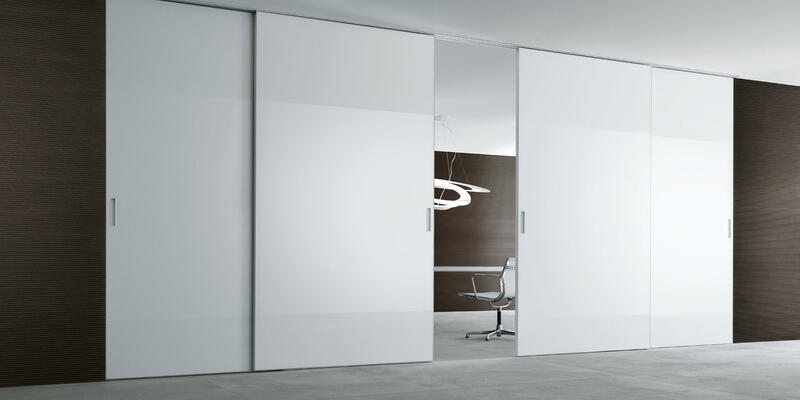 The closed partitions have a separate door for easy movement between the spaces, even when they’re closed off. School administrators can be left scrambling to figure out how to make the best use of spaces that need more structure and organization to function. These movable acoustic panels represent a system that is flexible enough to create smaller, temporary classrooms that divide larger classrooms or can transform open spaces into more manageable ones. These are also great for setting up areas that might have multiple presentations or school projects going on at the same time. The temporary panels are easy to set up and provide enough acoustic separation to make the individual presentations easier to hear. Students are more eager to focus and learn if their environment is one that’s inspiring. EchoPanels from Kirei combine the acoustic separation classrooms need with an appealing visual presentation that encourages productivity. In a world where acoustic products are typically an unattractive shade of grey or brown, these options stand out as bright, visually interesting alternatives that help to cultivate a positive learning environment. 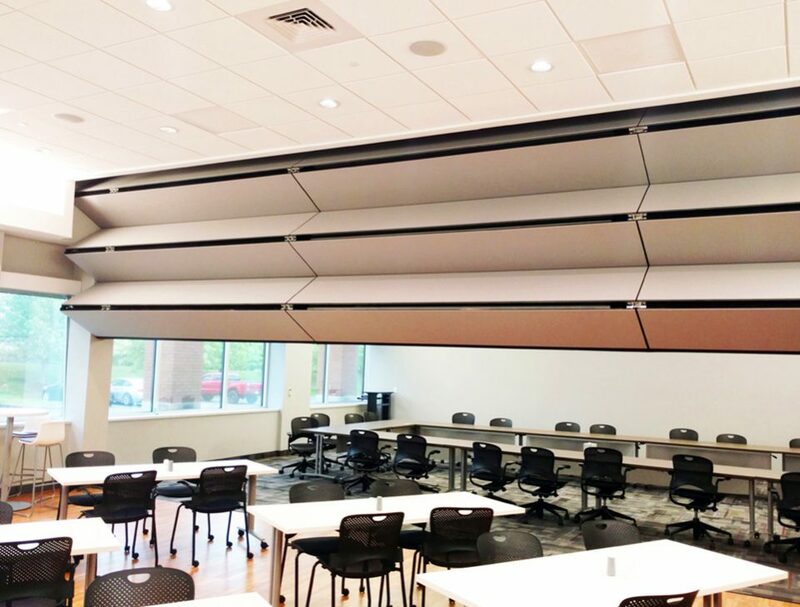 For architects, engineers, and space planners, these operable acoustic room dividers provide solutions for larger spaces like lecture halls and auditoriums. They have the ability to completely transform lecture spaces and classrooms depending on whether they are opened or closed. Many of the options here are automated and remote controlled, and factory-tested to adhere to ASTM and ANSI standards for acoustic separation. If you’re looking for something a bit more unconventional, these automated vertical systems fold up and disappear into a boxed out ceiling cavity, ensuring they present no visual distractions whether they are deployed or not. The panels are engineered to provide just as much acoustic separation as if there were a solid wall in its place. And while they aren’t entirely flexible, they adhere to industry standards for acoustic separation and look good doing it. These panels can be best suited for university, auditorium, or hospitality environments. The open design plans found in today’s schools and learning environments often result in visual and acoustic distraction for students. Kirei’s EchoScreen solves both of these issues by offering effective sound absorption and appropriate division of space. 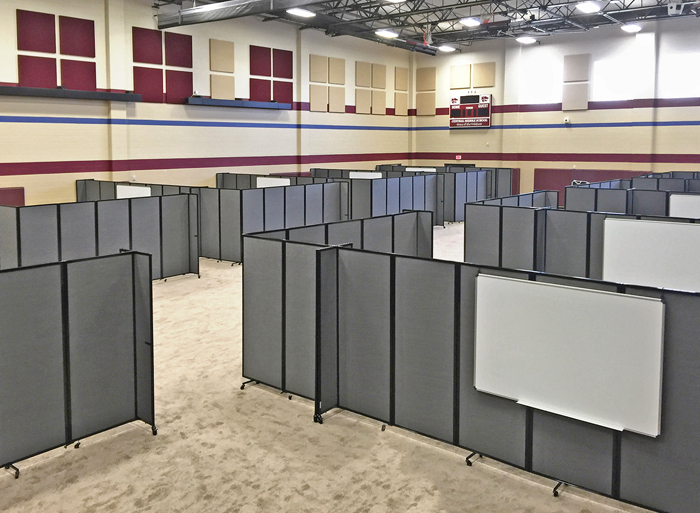 With customized options available, these screens offer attractive solutions for bustling classrooms. 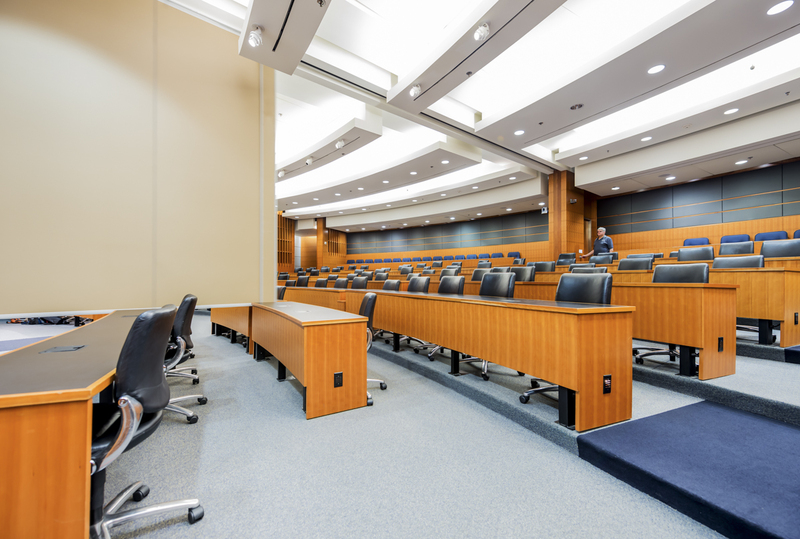 From expensive to affordable and automated to manual, there are no shortage of options out there for effective acoustic control in a scholastic learning environment. These suggestions should get you started on designing a space that fits your school’s specific acoustic and aesthetic needs. Still need a little help? Find your local Kirei Rep and schedule a presentation to learn more about the acoustic products Kirei offers!